Amazing Five stars all the way! My sister loves this game she is always playing on her iPad just playing! And I was like “oOoOo” I want that game so I got it and this is a really cool game! 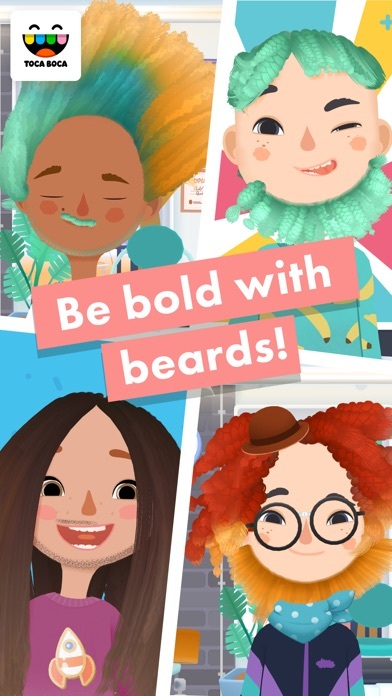 Like any other Toca app, this one is very good. Over the years I wasn’t that pleased with the hair Solons they made, but this definitely improved. There’s a lot more you can do with the hair and it is much more easy to move and style. I also like that they have more colors to dye the hair with. In one of the first versions, you only had a few colors, like red, orange and blue. This one has basically all the colors, and if you need a smaller paint they also have a highlighter, witch all the other games did not. I really don’t have any complaints about this app and it just keeps getting better and better the more I play. 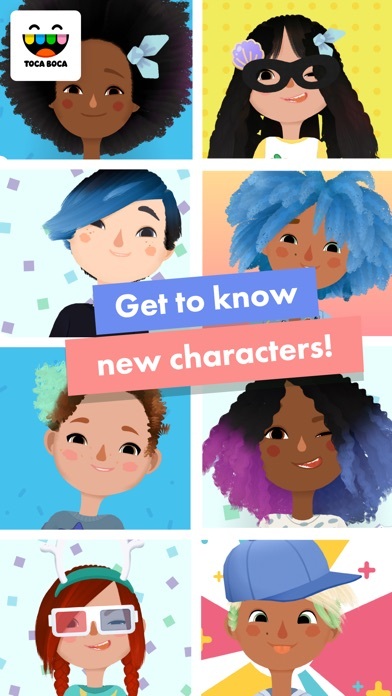 This app is AMAZING, but it’s really hard to do detail when the characters keep moving! Other than that, PERFECT. 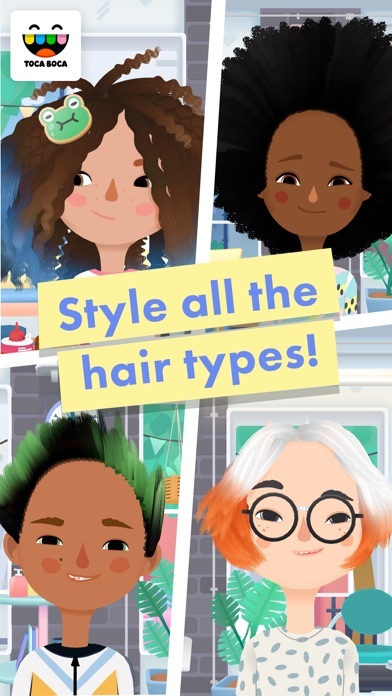 I love this game so much, I love all the different ways you can style there hair and all the different outfits. But when I am using the tiny blonde hair spray, it just freezes and goes blank! I have un-downloaded and redownloaded and it keeps happening! Please fix this! So one thing then I'm kind of disappointed about is, the clothes are very limited. And this usually gets boring after a couple days or a month. I think this game would be better for a little kid.If you really like games like this, you should buy it. But I recommend more for 4 to 6 years old. Or maybe seven-year-olds but, I do recommend the game for that age. I like your game! Well it's kind of boring now but all the little kids to come over to my house love to play it. The hair is also very uncontrollable especially when you try to shave someone's beard sometimes it ends up shaving their hair. That's very annoying for me and the coloring is very hard to do when their hair when their hair dark color. If you really are interested and you really really want to read some of the happy 😊 reviews mine might not be the best if you can't wait to get it! 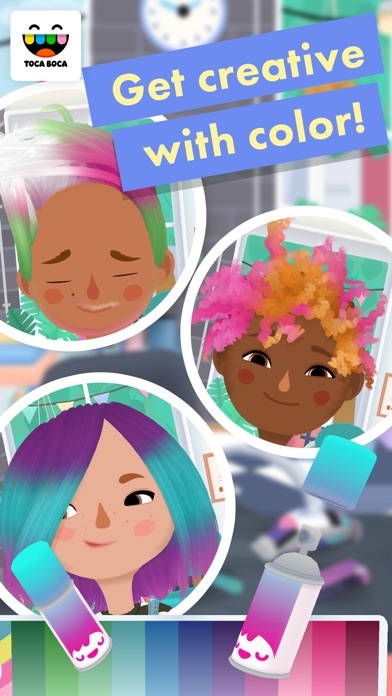 One more thing, please change it so you can turn their heads around 3D you so you can cut the back of their hair easily because I've always wanted a style where the front of the hair is lower than the back but, it always ends up cutting the back and the front. Thank you! C: <3!!! 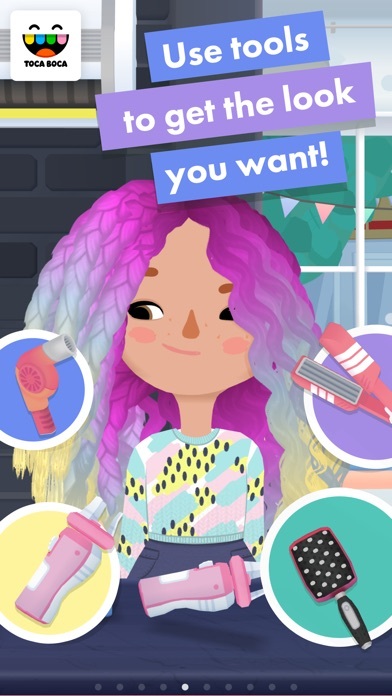 I plat this game almost every time it gets me big on this app I like Andy’s more than just doing hair, like you can dress up your character!And I love how you can dye their hair because your can put on the soap and blend so that’s cool and you can mess around like turn a girl into a boy then a boy into a girl.Its really creative but just one slight thing I want more details in the background.And while the customers come in you can just start on their hair and you don’t have to wait for them to sit down in the chair.P.s. Making bangs are hard.